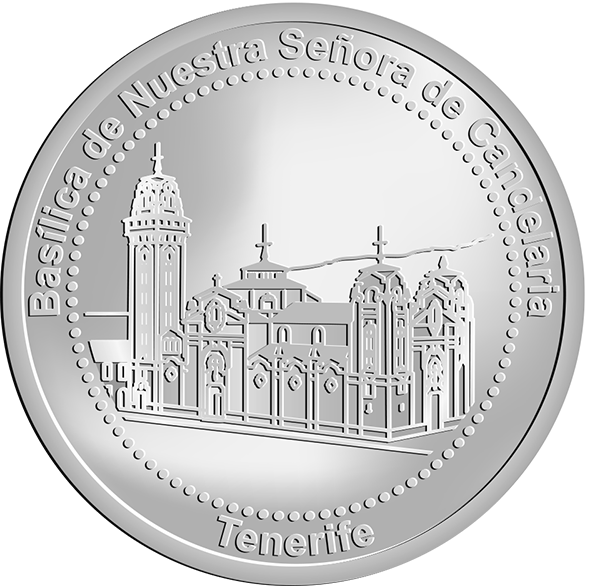 The Basilica of the Royal Marian Shrine of Our Lady of Candelaria is a Roman Catholic minor basilica, the first Marian shrine of the Canary Islands, located in the municipality and city of Candelaria on the island of Tenerife. It is located some 20 km south of the island’s capital, Santa Cruz de Tenerife. The basilica is dedicated to the Virgin of Candelaria (Patron of the Canary Islands). Designed by architect José Enrique Marrero Regalado, it is listed as a Site of cultural interest by the Government of the Canary Islands. The Virgin of Candelaria is a black Madonna.